Good Morning! 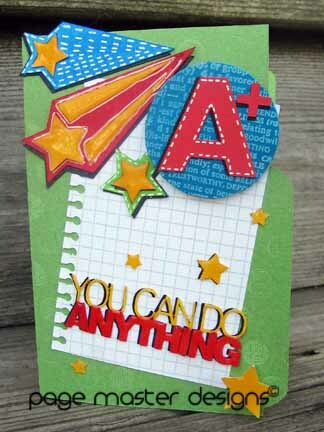 Today I am sharing a card that I made for my son for his pending 8th grade graduation. He worked really hard throughout 6th, 7th and 8th grade and made Honor Roll every session. We are so very proud of this boy. I wanted something special to give to him. 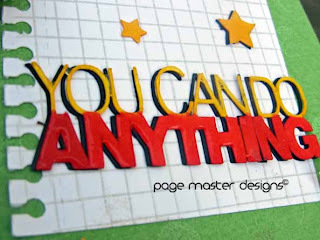 I chose a card from the Silhouette store that was designed by Lori Whitlock. I added another of her files to it which is the title. I stamped the background of the card in Hero Arts Mid-Tone Ink Green Hills with The Life of the Party set from HA/Basic Grey. It's very subtle but that is what I was going for. I also stamped the back of the circle with a Hero Arts definition stamp. I covered all of the stars and the title in Glossy Accents to give it all a nice shimmer. I also cut both the shooting stars and the title in black and color and then mounted them for a shadow. Here is a close up of that title. We are on Spring Break this week but I have lots of goodness coming your way. I hope you will join me. I am purging and hoping to have a give-a-way or two too. Great graduation card! Love the cool bright colors. Your son will love it!